I don't think there's a need for argument on what it was and what wasn't. Perhaps it was a brief Eskip and perhaps it was mobile TX. The fact is, whatever it was, the fading pattern is different from Es but an aggravating discussion is not necessary. 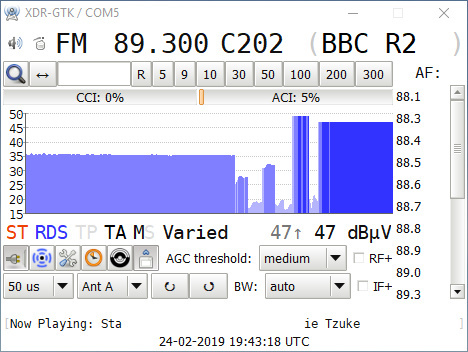 Maybe then Radio Delta from Ocna Mures, Romania? Maybe Romanian members can help? The speaking person sounds to me like a local Slovak. Either Slovakian or Czech language. I leaning towards Slovakian as the speech in you recording sounds softer than Czech that I remember. 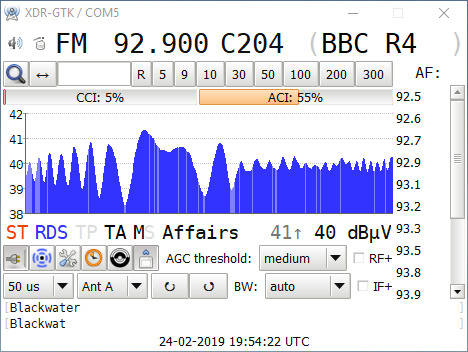 Receiving now weak 95.6 BBC R. Norfolk from West Runton. Although maps doesn't show anything in my area there is a local tropo still going on here. Possibly a high elevated duct refracting signals. Tacolneston booming with 40dBuV signals and Holme Moss is at 30 dBuV. Very little France here, but generally, UK stuff is massive! 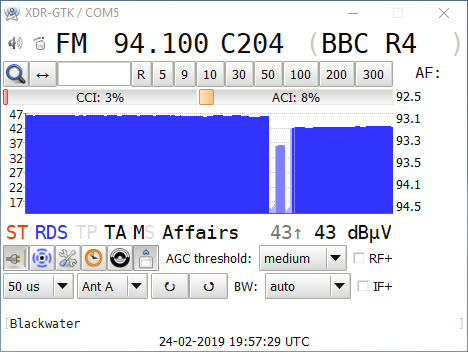 102.9 Heart from Hannington reaching RDS with solid signal at 34 dBuV! The North is increasing again. This time Holme Moss reaching 52 dBuV! I never had such a strong signal from Holme Moss and that's indoors! Holme Moss has "calmed down" now to 40 dBuV. Essex is still strong here with 103.5 BBC Radio reaching 40 dBuV. Tacolneston joining with 43 dBuV signals! UK stuff is massive here! 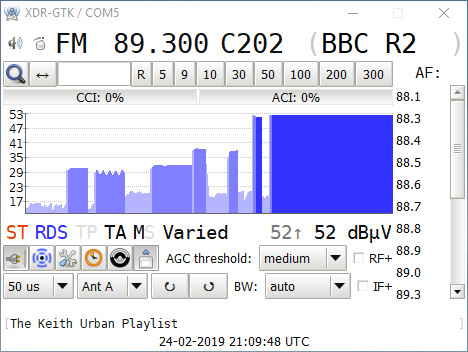 89.4 I have France Music from Boulogne-Sur-Mer. This is on vertical. Nothing in H. Oxford is strong as well. Peterborough with 40 dBuV signals here! Holme Moss is massive 47 dBuV!!! Essex and Surry signals are well enhanced, booming here with over 30 dBuV signals. Egem is strong too.